To make a long story short, (well not that short) I was looking for a place to fix my boss’s laptop. Marathon Computer (at 693 Cochituate Road/route 30) was recommended by two people I contacted from the Framingham Wiki. So I brought it down there and while I’m waiting, one of the guys there named Sun (the place is run by Mark and Sun) is dealing with an unhappy customer in front of me. It seemed that this woman was upset because her computer keeps crashing even though it was supposed to be fixed and lost her son’s report for school while he was working on it. I have to say I wasn’t too impressed with how Sun handled her, telling her she’d have to leave if she didn’t “keep it down”. But again, since these guys were recommended and I did not know the history of this situation, I thought it was probably a fluke thing and sometimes people may not have customer skills but know how to fix a computer, so I left the laptop with Mark who seemed okay although he tried to charge me $75 to drop it off when Sun told me over the phone it would be $45. I’m not sure why they have different rates but Mark said ok to the $45. I called to get an update later that day and they said it would be $275 to fix the problem (which was that the computer wouldn’t charge) and it would be 2 days for the part to arrive. Three days went by and I called to check, no answer. I called a few minutes later, no answer. Two more times, no answer and then sent them an email asking for an update – no response. I called the next day and after a few tries (no one answered) I finally got Mark who gave the phone to Sun and he said I could pick it up. I picked it up and brought it to work only to find that the laptop still doesn’t charge and now the keyboard doesn’t work either.(!) My boss brought it back to them and dropped it off. I called the next day for an update and Sun said he had to order a new adaptor and the keyboard works fine. He said it would be 2 days for the new adaptor. As usual, these guys don’t pick up the phone to let me know what’s going on so I called 3 days later and after 5 tries of no one answering, Sun picked up and told me the laptop powered ok but the keyboard only works sometimes. I told him I can’t pick it up unless it’s working normal as it was the way I dropped it off and then he got really rude and condescending and said that’s not his problem because it’s not what I brought it in for. I said it was working fine before I brought it to him and now it’s not and I have to bring my boss’ computer back to him broken. He just kept saying said “it’s your keyboard” and that he has spent too much time and money on it already as he ordered an extra adapter (although he gave it back to us not fixed for what I brought it in for) so he’s not spending anymore time or money on it. I told I really can’t bring it back to work with it not working the way it was before and he kept saying “Hey, I don’t need this headache, okay?” and said he is taking out what he put in and will give a refund because again, HE doesn’t need this headache (like I did?) and then hung up on me. 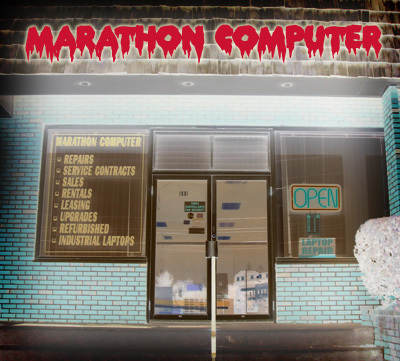 I would urge everyone to run from Marathon Computer. They’re so rude and unprofessional. Perhaps they should not deal with the “headache” of running a business and being responsible for breaking people’s computers. Some creep put up plastic ties across Grove St. at neck level so someone on bicycles and motorcycles would get hurt or killed. As a bike commuter, this makes me upset but also kind of freaked out that someone hates bikes/motorcycle riders that much to hurt/kill them. 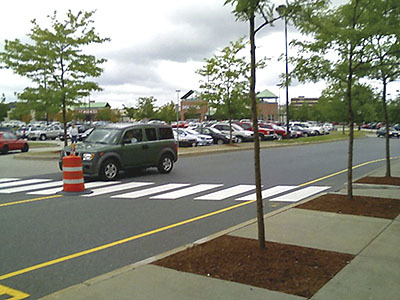 I made a post a while ago about how I really try to be as courteous as possible (staying as far right as I can, obeying traffic signals etc…) to motor traffic and I just ask the same. It’s a co-existence. 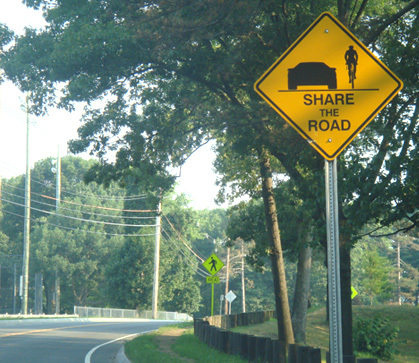 I don’t know if this was intended for bikes or motorcycles but the fact that someone is comfortable with possibly killing someone over his annoyance is really sad. FRAMINGHAM, Mass. (WBZ) Framingham police say it was “a murder waiting to happen.” Someone strung thick plastic zip ties across a street at neck level. The ties were found hanging 4 or 5 feet above the ground across Grove Street by Belknap Road on Monday night. 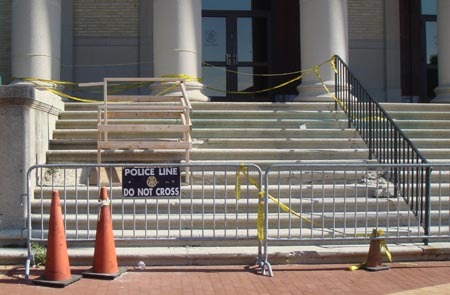 Police removed them and they were found there again on Tuesday night and Wednesday. “Any reasonable person would consider this a deliberate act and just the way it was set up is, in my opinion, a murder waiting to happen,” Lt. Paul Shastany told WBZ. If someone was riding a motorcycle or bicycle fast enough, they could have been seriously hurt, he said. “I think it’s terrible. Why would anyone want to injure a cyclist?” asked Adrinne Myer, who was riding her bike through the neighborhood Thursday. Shastany said the zip ties have been sent to the Massachusetts State Police Crime Lab in Sudbury to be tested for any DNA or other evidence. A witness told police Tuesday she saw a man in dark clothing standing near a telephone pole with a cord strung from the pole to a tree. He’s described as white, in his late 20’s, 6 feet tall, 200 pounds with a crew cut and a stocky build. 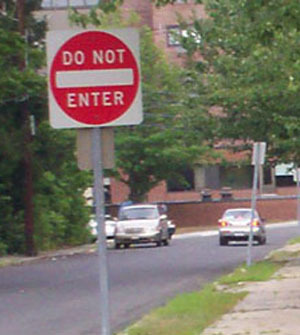 Officers have increased patrols in the area and put up warning signs. Anyone with information is asked to call Framingham Police at 508-532-5923 or 508-872-1212. 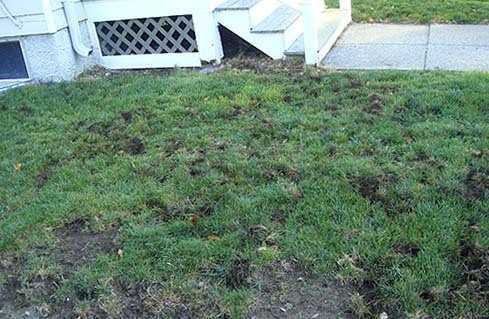 It’s not too often I make a $#@% list post but lately we’ve had an overnight visitor that rips up our yard. I’m guessing whatever it is looking for grubs and we’ve tried grub treatment but that doesn’t seem to work. Then we went to the Framer’s Exchange and got some fox urine (I didn’t even know that was a product until this issue), that didn’t work so then we tried going a step up and using coyote urine. Whatever it was just went to town on the lawn and even left a poop like it was trying to tell us that what it thought of our scare tactics. We didn’t have this problem last year so I’m not really sure what’s going on but if anyone knows any good tricks for repelling things that dig up yards or really good grub killer, I’d love to hear it. The other thing about going the wrong way on this street is that you have no choice but to take a right (taking a left just brings you to the hospital parking lot or driving into Learned pond) which is also a one way street and again, going in the wrong direction.Â We get a fair share of ambulances, and even police cars coming down that street so it’s amazing there’s never been an incident. I feel like I shouldn’t call the police unless thereâ€™s something to show them but maybe I’m wrong.Â If anyone has had an experience with something like this feel free to share. 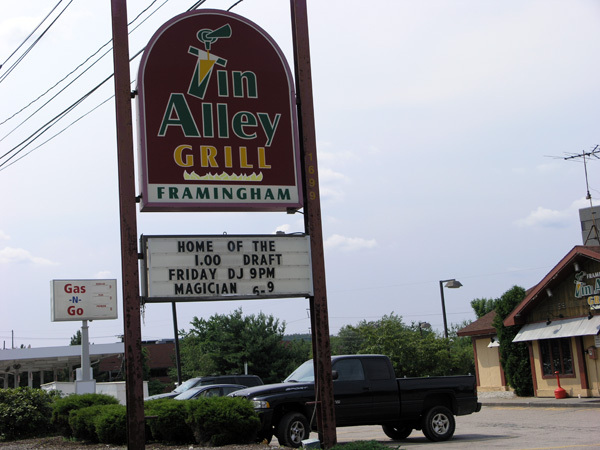 On route 9 west, almost at the Southborough border, is the Tin Alley Grill. I don’t even know where to start but I want to make it short because I don’t want to recall my one evening there for too long. They serve the usual “pub grub” and it’s mediocre at best, but what earns it’s $#@% list status is the stench that came wafting out of the kitchen all night. It was so weird, all of the servers were walking out of the kitchen with food like everything was normal. I kept expecting to see one of them come barreling through the swinging door, yell “Oh my God!” and then throw up but I guess the smell is just part of whatever was brewing in the kitchen. It took the whole “meal” for me to realize it wasn’t just me that noticed it. Everyone at the table was secretly in denial until some one had the guts to ask what that vile smell was and then it was time to leave. Even if they are “Home of the $1.00 Draft” it’s not enough to get me to go back. I can’t believe they spent enough time there to consume $186 worth of food/drink and still had the strength to escape without paying AND cross route 9!